3 ways YOU have made a BIG difference to our whole family! Living with Karl’s parents, we’ve been able to be a daily encouragement to Karl’s mother Joan. Those 3 little grandchildren love to share their joy and laughter with Mimi. 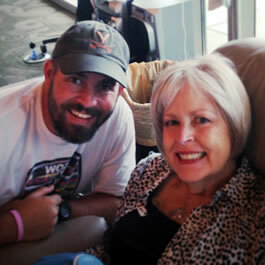 Karl’s also been able to go with his mother to her chemo treatments...spending time talking, connecting and making memories. COACHING SOCCER: Coaching two soccer teams, Karl savors the frequent opportunity to speak hope and life to these boys, mentoring them into becoming amazing young men. OMAHA AT-RISK YOUTH: Julie spent time volunteering at the Hope Center this summer. She enjoyed connecting with African American youth during an employability academy. 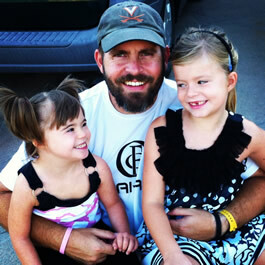 This fall she is helping to find prayer partners for these at-risk teen-age girls. 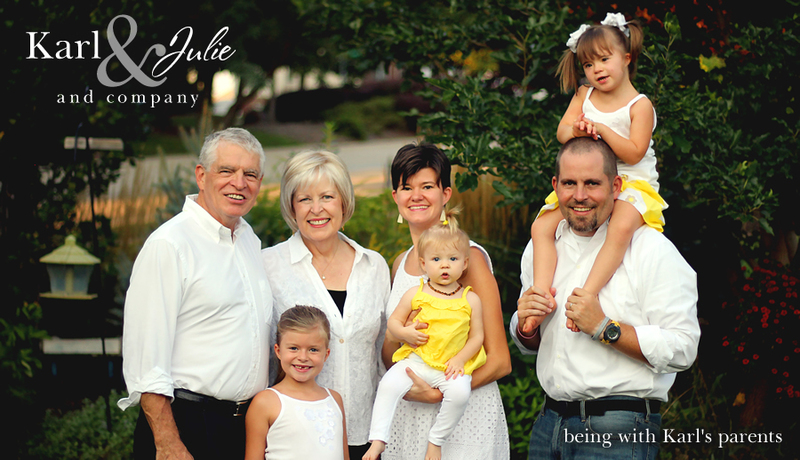 AFRICAN BUSINESS FOR MOTHERS: Julie is still very connected to Motherhood is Beautiful (the holistic program she started in Africa) and is busy with marketing and sales for the beautiful jewelry the African mothers make. 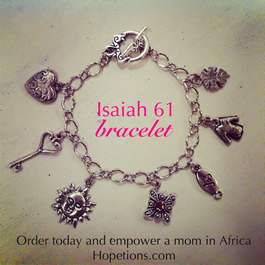 The Isaiah 61 Bracelet makes a great gift for mothers, sisters and friends and are on sale now (new batch of bracelets just in from Africa)! Both Jensen and Emme are enrolled at nearby public school that has special needs services that are the best in the city! We feel that this has been amazing “God Timing” for Emme to get a boost in her education at such crucial time in her development. To our surprise, Jensen has needed some intervention on reading, math and her eyesight (we are so grateful for the Millard Public School screening system). This has been an answer to a prayer we didn’t pray! In fact, we have been able to get special orthopedic insoles for Emme. Unbeknownst to us, the foot braces we got for Emme in Africa right before we returned to states would have caused harm to her walking. The Lord knew exactly when she needed to come back to America to receive proper intervention for her walking development! See recent photos of every day "Ostrand Life"